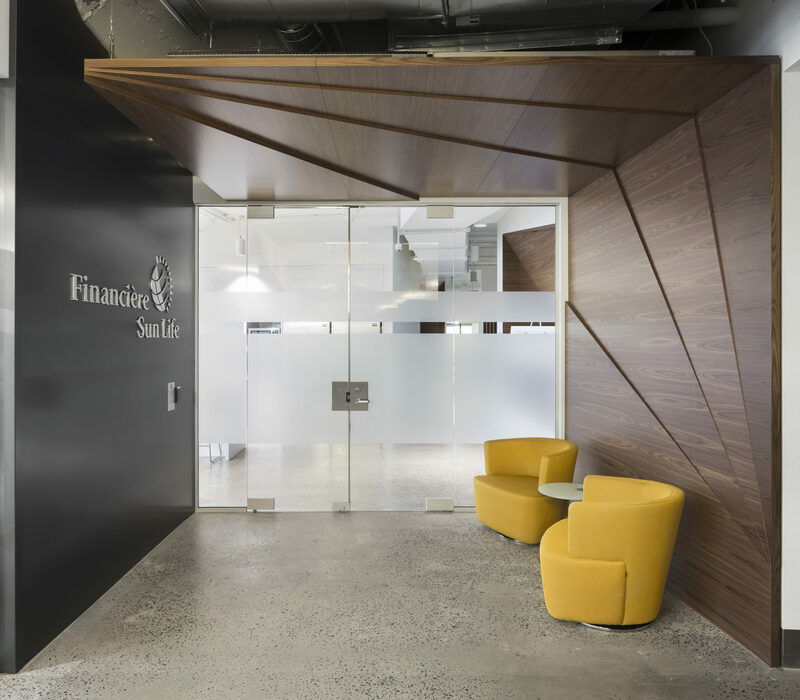 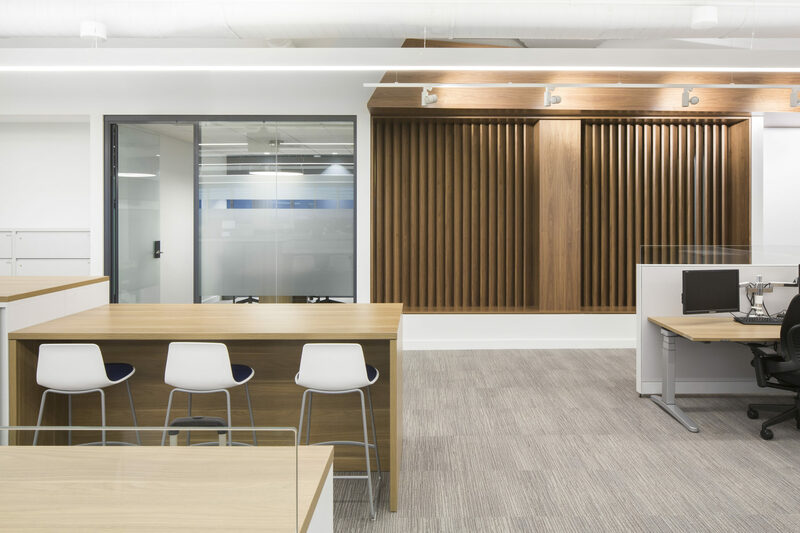 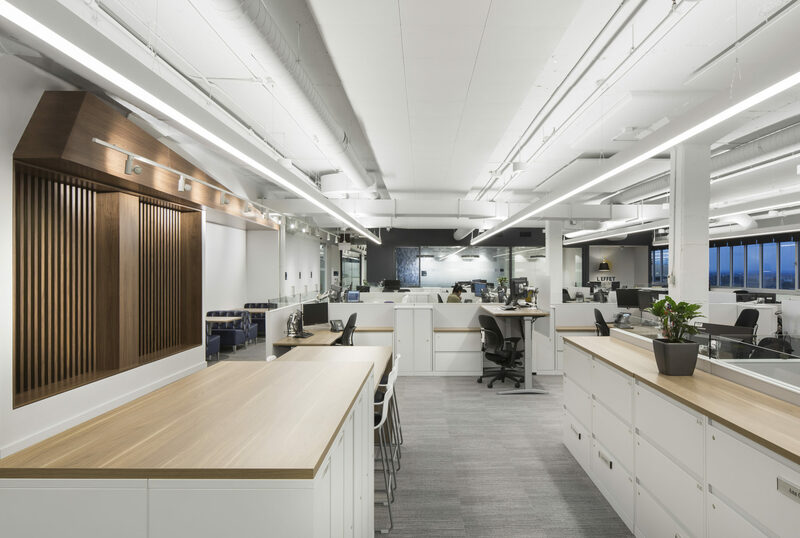 The latest Sun Life Financial project on de Gaspé Street is a showcase for the new corporate “BRIGHTWORKS” design standards program. 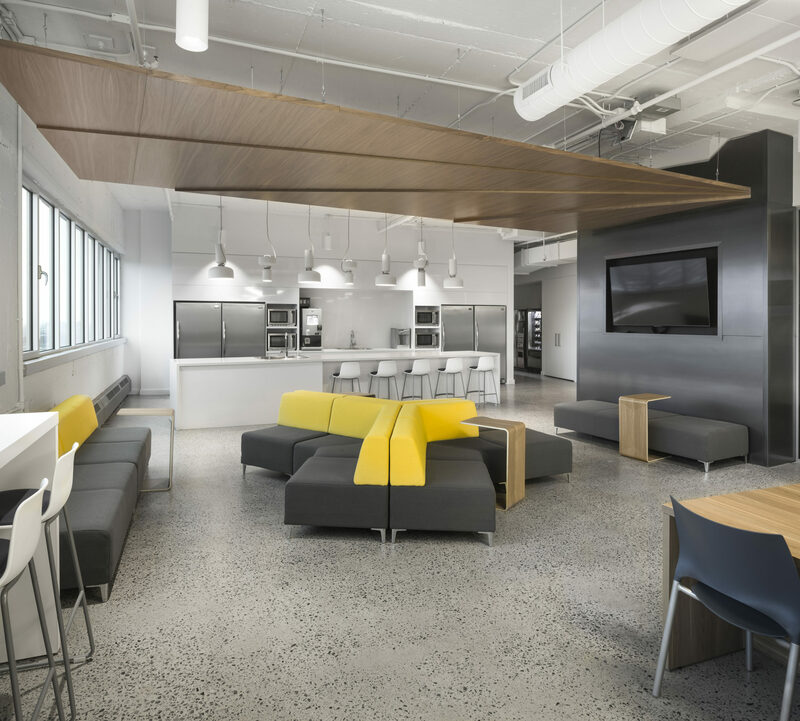 It is a dramatic departure from previous, more traditional corporate work environments. 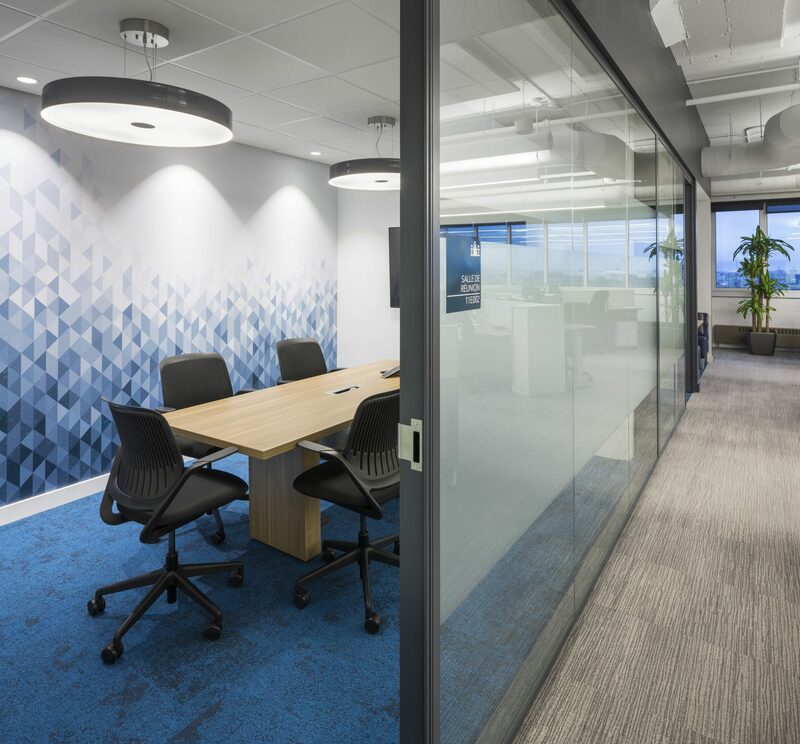 It is an adaptive and inspiring space that integrates social collaboration and more quiet focused work. 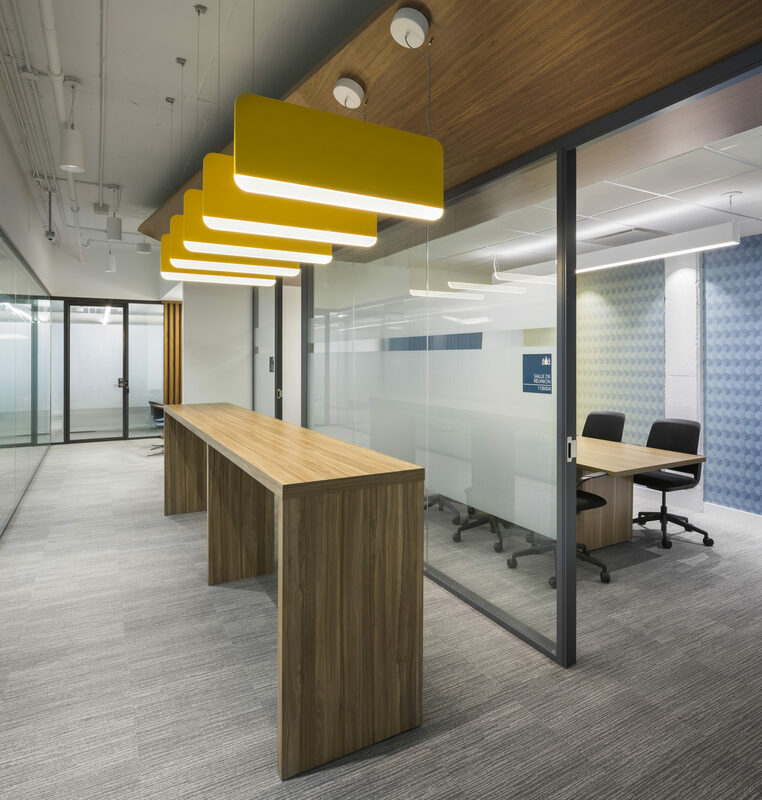 Through use of colors, textures, and graphics, employees and clients are engaged in and connected to the Sun Life brand.